During a ceremony held today at Garrison Petawawa, the Royal Canadian Air Force (RCAF) formally graduated its first class of CH-147F Chinook helicopter aircrews who took part in the new, comprehensive Field Trials Course. Photos of the event will be available for download at www.cae.com/photos. 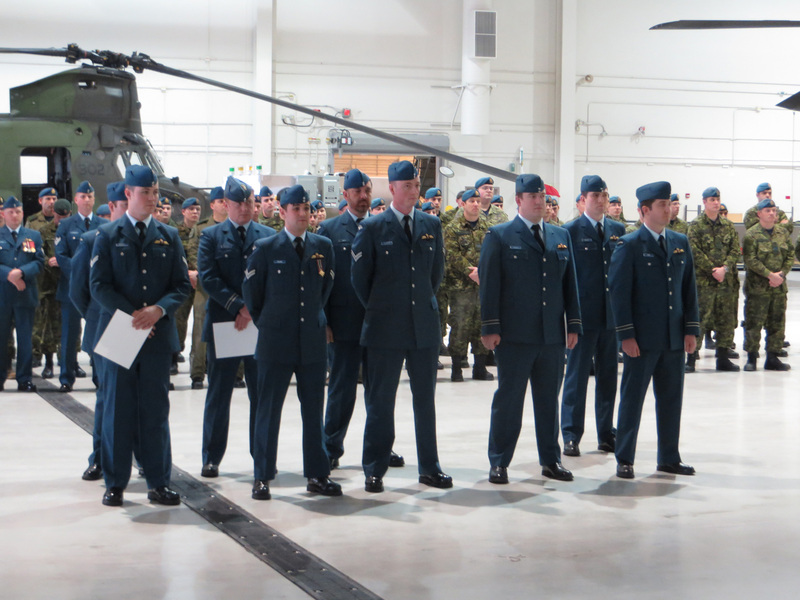 A total of ten RCAF CH-147 Chinook aircrew – six First Officer’s, two Flight Engineers, and two Loadmasters – officially graduated following an intensive 24-week course. The first graduating class marks the culmination of a unique partnership between the RCAF and CAE to design and develop a world-class total training system for Canada’s CH-147F Chinook helicopter aircrews. The RCAF’s CH-147F Chinook training program involves a blend of computer-based classroom and academic training, flight simulator and training device instruction, and on-aircraft live flying exercises. Approximately 60 percent of the training program is conducted in both the classroom and synthetic training devices with the remaining 40 percent focused on live flying training and exercises. Beginning in August 2015, the RCAF’s CH-147F aircrew began classroom and academic training using CAE Simfinity computer-based training courses, desktop trainers and instructor tools to bring high-fidelity virtual training to the RCAF’s CH-147F ground school. Classroom and academic training was complemented by practical training and exercises using the suite of CAEbuilt CH-147F training devices, including full-motion weapon systems trainer, fixed-based flight training device, deployable tactical flight training device, and integrated gunnery trainer. Throughout the Field Trials Course, the RCAF’s CH-147F First Officer’s, Flight Engineers and Loadmasters received on-aircraft live flying training. Classroom, simulator, and live flying instruction is provided by both RCAF and CAE instructors. The RCAF’s new Medium-to-Heavy Lift Helicopters (MHLH) training facility is located at Garrison Petawawa in Ontario. CAE was the prime contractor responsible for leading the design and development of the RCAF’s CH-147F aircrew training solution, and has now commenced with providing 20 years of in-service support. Note to editors: Photos of the event will be available for download at www.cae.com/photos.